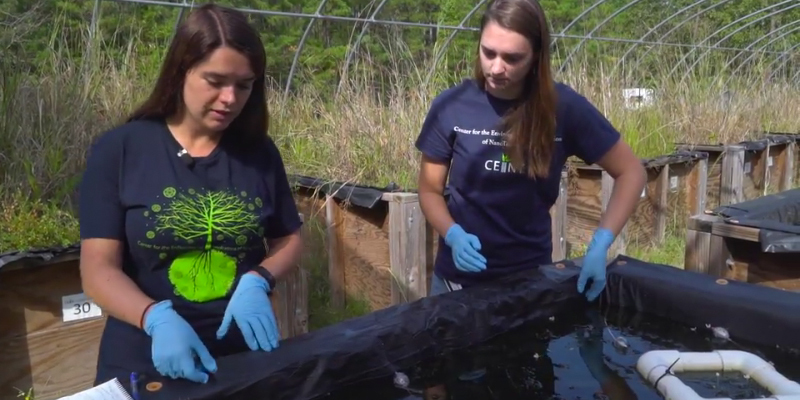 Studying for a master's degree in civil and environmental engineering at Duke prepares you for leadership in industry or future doctoral studies. You will be part of a highly regarded program that is ranked among the very best. Most of our master's students go onto careers in the structural engineering, construction and environmental industries, where they work for leading firms and important national laboratories. A significant portion of our Duke CEE master's grads enter PhD programs, very often at Duke. Learn more about where our Duke CEE master's students go. We offer significant support for competitive master's applicants—typical scholarships range from $20,000-$30,000. At Duke CEE, you'll have opportunities to explore cutting-edge areas of civil and environmental engineering such as computational mechanics and scientific computing, geomechanics and geophysics, hydrology and fluid dynamics, environmental chemistry and toxicology, and environmental process engineering -- with personalized mentorship from our faculty. Students in our Master of Engineering (MEng) program complete a required internship, gaining real-world experience and industry contacts. And, we provide dedicated career development services for all master's students including mock job-interview sessions, career fair preparation and our unique TechConnect events, which bring together tech companies and interested students for internships and job opportunities. By choosing Duke, you join an engaged, diverse and welcoming community that values and supports you. You'll notice the importance we place on faculty-master's student interaction. And, as a Duke CEE graduate student, you will have representation in SAGE, our graduate student association. Our engineering campus is next to one of the nation's leading academic medical centers and adjacent to Duke's highly ranked Nicholas School of the Environment–facilitating academic and research collaborations. Plus, the Duke campus is just miles from Research Triangle Park (RTP), home to more than 200 major private tech companies and public science agencies – including a large U.S. Environmental Protection Agency laboratory, a USDA Forest Service research station, and a location of the National Institute of Environmental Health Sciences. Here, you'll also enjoy a mild climate, acclaimed restaurants, a thriving arts scene and an affordable cost of living. Your Duke degree can take you anywhere in the United States and beyond. Some students choose to remain in our Research Triangle region, which is consistently ranked among the best places to live in the United States. The Master of Science is an advanced engineering degree comprising technical coursework and a thesis or project in a chosen discipline. It typically takes 1 to 2 years to earn the degree. Our CEE MS forms an excellent foundation for a career in research or technology development in industry or academia. The centerpiece of the CEE master's experience is the research project or thesis, conducted with our world-class faculty. The Master of Engineering (MEng) in Civil Engineering is a career-focused degree that includes strong technical and business coursework, with a required industry internship. The Master of Engineering (MEng) in Environmental Engineering is a career-focused degree that includes strong technical and business coursework, with a required industry internship. The Master of Engineering (MEng) in Risk Engineering is a career-focused degree that includes strong technical and business coursework, with a required industry internship. The Master of Engineering (MEng) in Computational Mechanics and Scientific Computing is a career-focused degree that includes strong technical and business coursework, with a required industry internship. Duke CEE faculty members are engaged in a wide range of efforts to understand effects of humans on the environment and to design systems to make communities more sustainable and resilient – from investigating the environmental implications of nanomaterials and aerosolized particulates, to creating complex mathematical and computer models of natural, technical and social systems. The department's long and close relationship to Duke's School of Medicine and Nicholas School of the Environment (both across-the-quad neighbors) and Duke's basic science departments has fostered a highly interdisciplinary approach, with engineers working closely with environmental and health researchers.